Caramel Wings: One of the classiest Dinner affairs I went to - Chef's Dinner at Intercontinental, The Lalit. 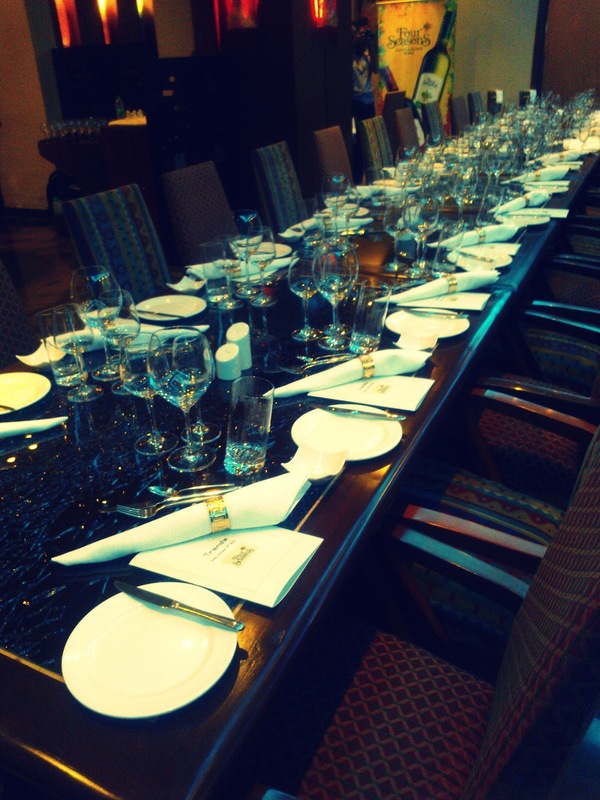 One of the classiest Dinner affairs I went to - Chef's Dinner at Intercontinental, The Lalit. Food Blogging is catching up as a trend and every week I see one new food blogger somewhere or the other. While this phenomenon mushrooms everywhere, the real reason behind it is that there are so many views and perceptions on the wide variety of food that is available to us. More often than not, the people behind the scenes do not get as much credit, and to add to that, I had always wondered who would be spoiling them rotten with all that amazing food and service too, when they visit any restaurant as a guest. I consider myself lucky enough to have witnessed it first hand when Four Seasons Wine invited us for a grand affair, thanking the chefs who made a noticeable difference to the Indian Culinary World. 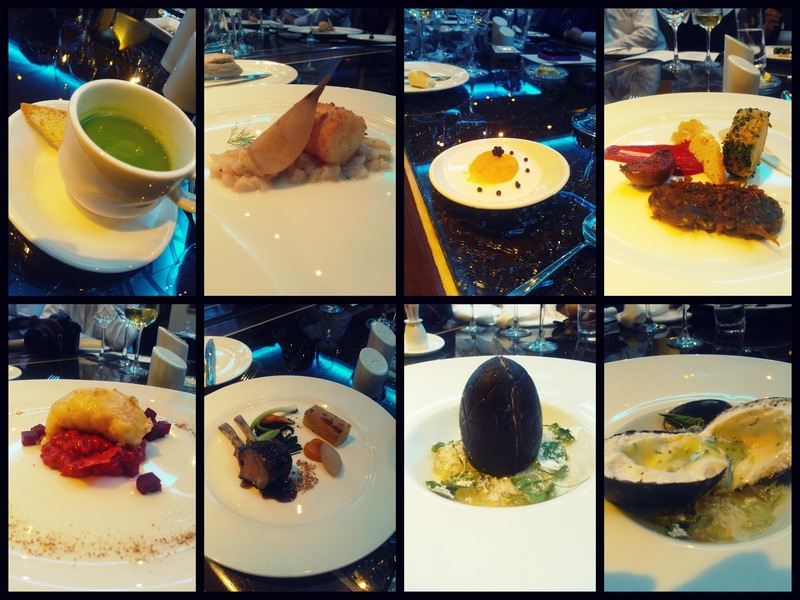 While food is something very subjective, this was one of those times where I was almost intimidated with so many known faces, famous faces around me and it was the foodie equivalent to sitting starstruck in the audience while watching their favorite actor being felicitated at the Filmfare Award function. I could say so much more, but I'll just let the pictures do the talking! 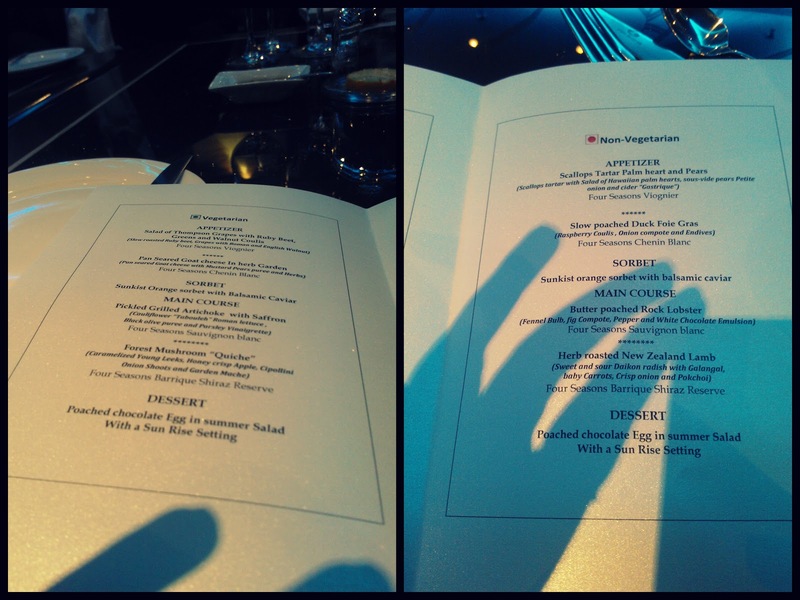 Of course I had the Non Vegetarian!! 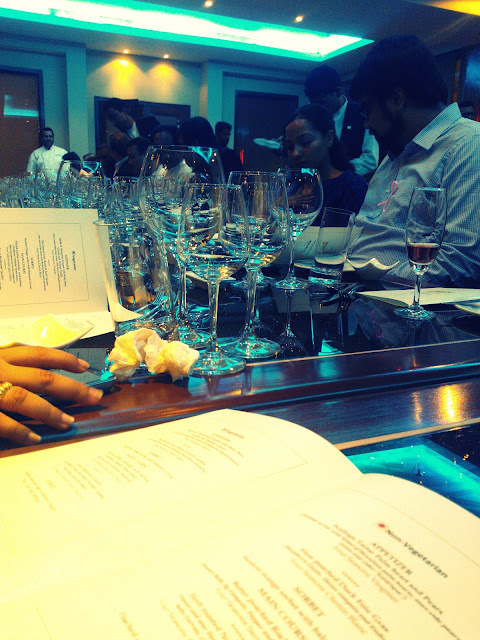 Since it was a Four Seasons Wine event and I keep raving about them, its needless to say that the Vino kept flowing! Although I do not have a picture of the full glasses coz I was too engrossed in my hoity toity meal! If I ever were to confess upon a crush of mine from the foodie world, it would have to be two men. Chef Vikas Khanna and Chef Jolly. 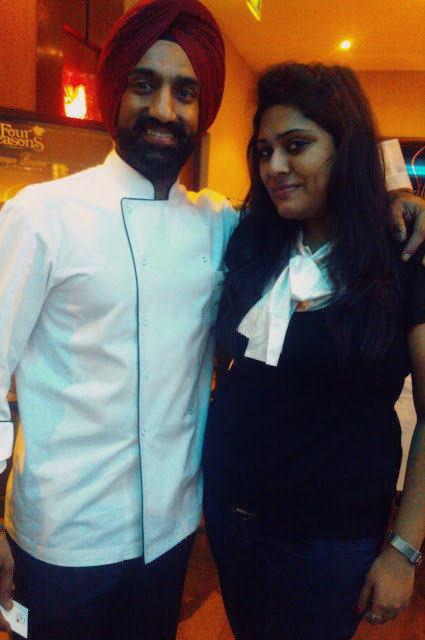 I am so happy that I had the chance to personally meet both of them and I am a little dazed when it comes to Chef Jolly because everything starts to become blurred and my speech becomes slurred when he is in the vicinity. Still, I managed to get a picture clicked with him! 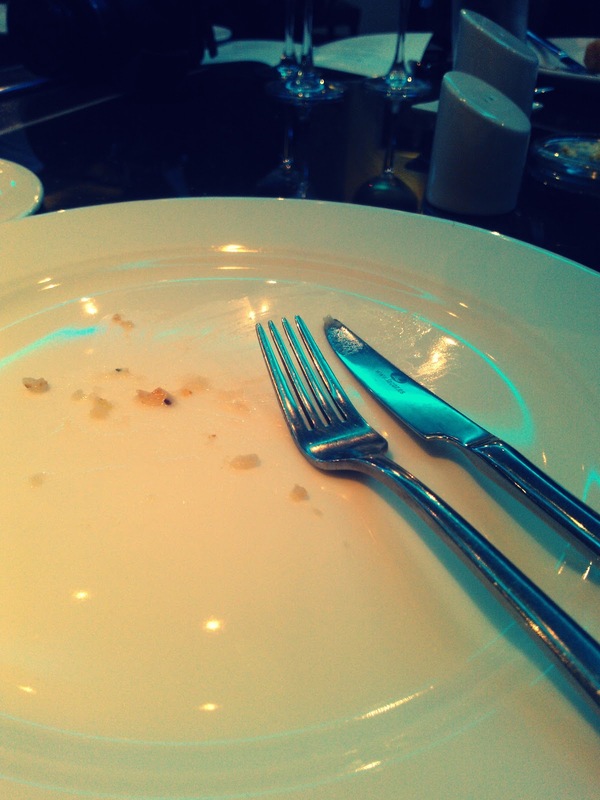 All in all, it was a lovely evening that we left with plates that were empty but hearts that were full of warmth and happiness. Kudos to Four Seasons and thanks for the invite, Team GingerClaps! You well described how to create Happy New Year Cake. Beyod creating cakes and other kinds of celebrations, there is much more to do on Happy New Year of 2015. everybody must do something special on this occassion. Take new decision which never get changed at any moment of this year. So heartly giving you Happy new Year 2015 wishes. may god bless you and your family.